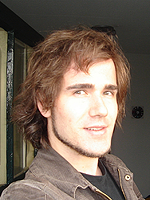 Since November 2012 Michael Thelemann is a doctoral fellow and researcher in the interdisciplinary Topoi research projects (A-5-1) Iron smelting in the Teltow and (A-5-2) Iron Mining in the Przeworsk Culture. Until May 2016 he participated in the PhD program “Landscape Archaeology and Architecture” (LAA) at the Berlin Graduate School of Ancient Studies (BerGSAS). In his doctoral thesis he dealt with the topic of ‘Human and Environment Interactions in the Environs of Prehistorical Iron Smelting Places in Silesia, Poland’ on early iron smelting during the pre-Roman Iron Age and the early Roman period in the Widawa catchment area in Lower Silesia, Poland.